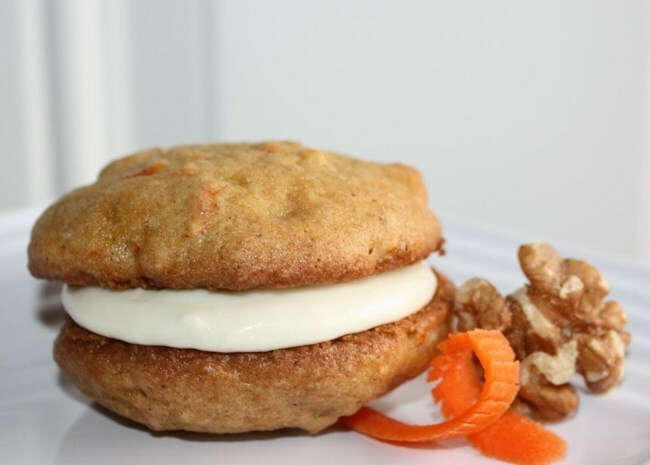 Here's what happens when you take the flavors of sweet, spicy, carroty carrot cake and come up with new ways to enjoy them. Only a couple of these beauties involve actual cake. Rich and creamy cheesecake is baked atop a carrot cake crust for a double dose of oh-my-goodness! Allrecipes community member smitty says, "Definitely a keeper as everyone wanted the recipe." Carrot cake pancakes get layered with cream cheese frosting to make these charming breakfast stacks, but they'd be great for dessert, too. Watch the video for Carrot Pancake Cakes to see how to make them. The original recipe says to simply spread the cream cheese frosting on the cookies, but lots of reviewers were inspired to create super-cute whoopie pies. They upped the amount of shredded carrots, too. 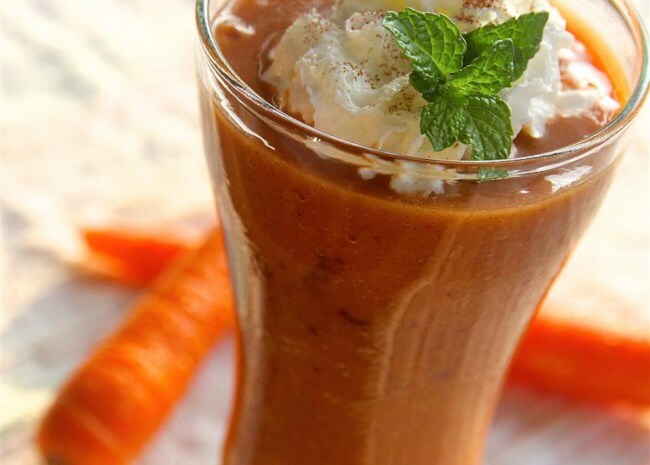 Blending carrots into smoothies is nothing new, but all the extra spices and fruits in this recipe make it taste like a drinkable carrot cake. In fact, it's so thick and fruity, you can turn it into a healthy breakfast smoothie bowl by topping it with extras like nuts, coconut, and chia seeds, and eating it with a spoon. Here's another way to start your day with a carrot cake take. Hearty steel-cut oats are cooked with carrots, apples, raisins, nuts, and spices into a warm, chewy bowlful of good-for-you breakfast. 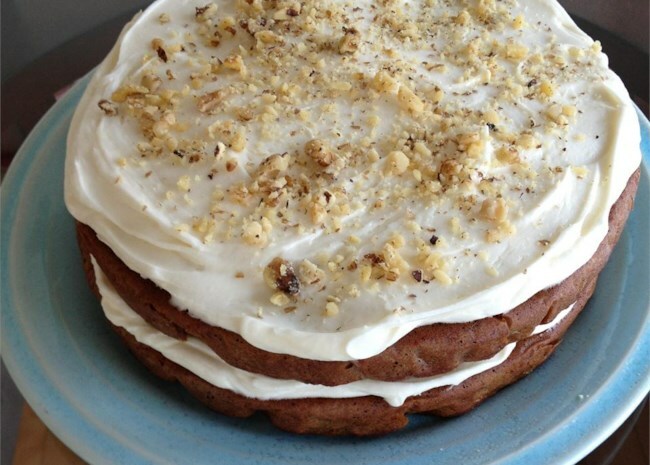 Carrot cake for your gluten-free lifestyle! Almond flour takes the place of wheat in this rich, dense cake. Instead of the grapeseed oil in the recipe, you could use coconut oil. This cake isn't vegan, but you could top it with this Vegan Cream 'Cheese' Frosting, if you'd like. 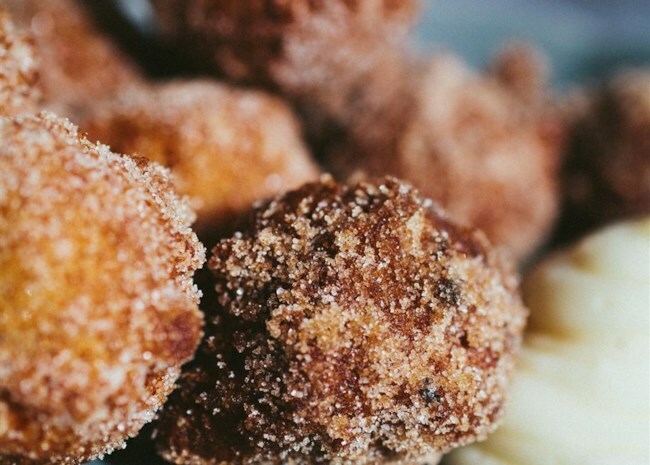 Everything you love about carrot cake, now in mini donut hole form. Where's the cream cheese frosting? You're dipping in it. Reviewers love how easy this is to make and how impressive it looks. "AMAZING," raves pixiesmama. "I made this for Easter & it was awesome! Something different, beautiful & everyone loved!" The recipe calls for whipped topping for the creamy pudding filling, but you can use real whipped cream, too. Pineapple, pears, carrots, coconut, and a trio of spices go into this sweet and spicy homemade jam that makes everything it touches taste like carrot cake. Imagine the gifting possibilities! 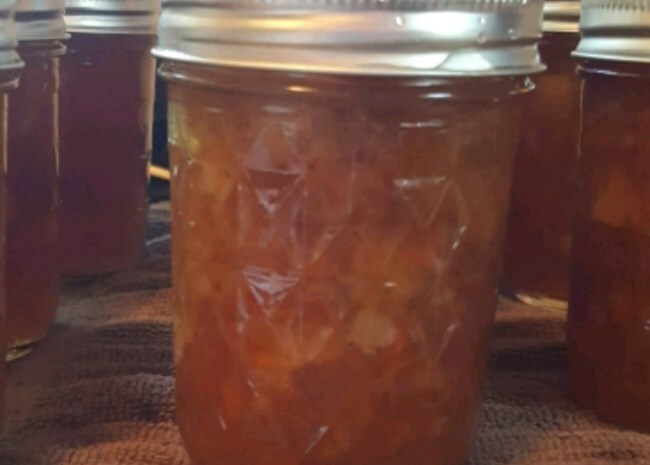 More: Get tips for canning. With everything made from scratch, you'll know exactly what's going into these light and moist cupcakes. Cook's tip: Be sure your cream cheese and butter are at room temperature when you make the frosting so it smooth and free of lumps. 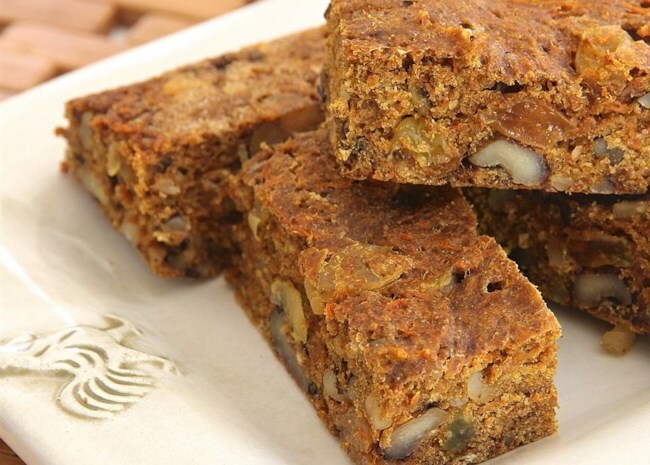 Think of these as carrot cake energy bars you can easily take with you on the go. Carrots, raisins, walnuts, whole wheat flour, and orange juice make them flavorful and delicious. 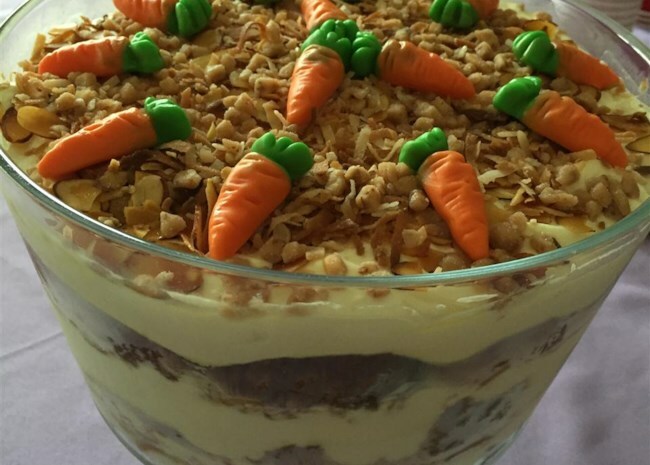 Check out our complete collection of Carrot Cake Recipes. • Get the secrets to making the best carrot cake. 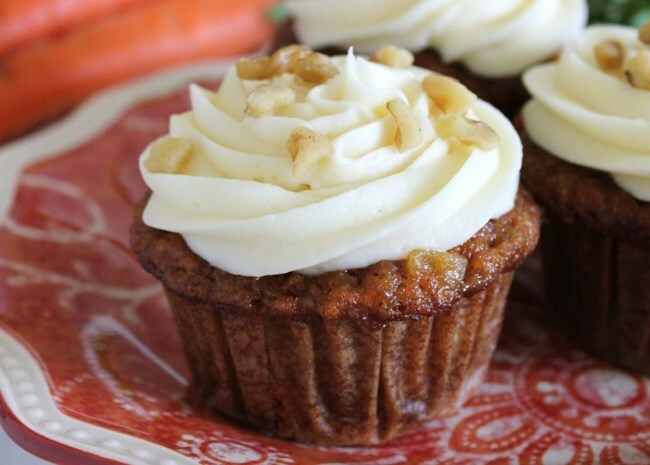 • Here's why so many carrot cake recipes include pineapple in the mix. • Dress up your cakes with easy garnishes and decorations.